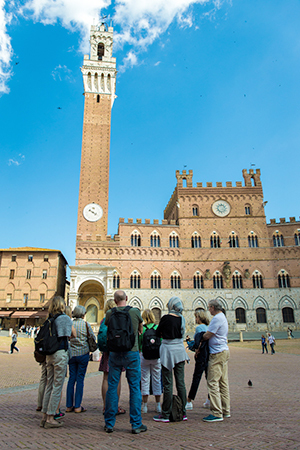 The Leonardo da Vinci schools offer students the opportunity to study Italian in Tuscany, changing between the various schools. Indeed, with the “giro d'Italia” course, you can take part of the course at the school in Florence and a part at those in Siena and Viareggio. You can choose at least 1 or more weeks in the school of your preference.